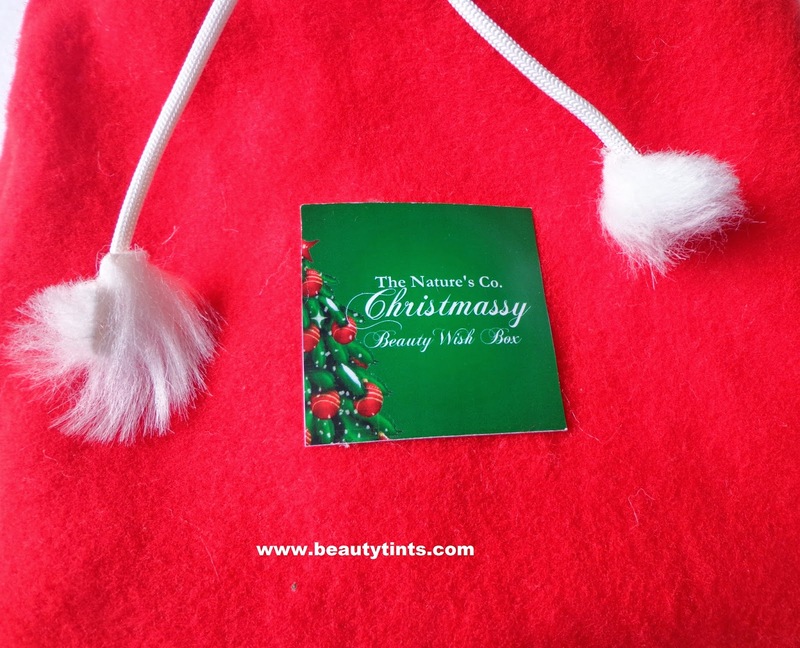 I am back with one more excited edition of The Nature's Co Christmassy Beauty Wish Box,which I received 2 days back.This time to add some more happiness,they gave an exclusive Stole from Santa's Elves along with 6 deluxe sized samples.I got a beautiful blue colored stole,which I already started using. 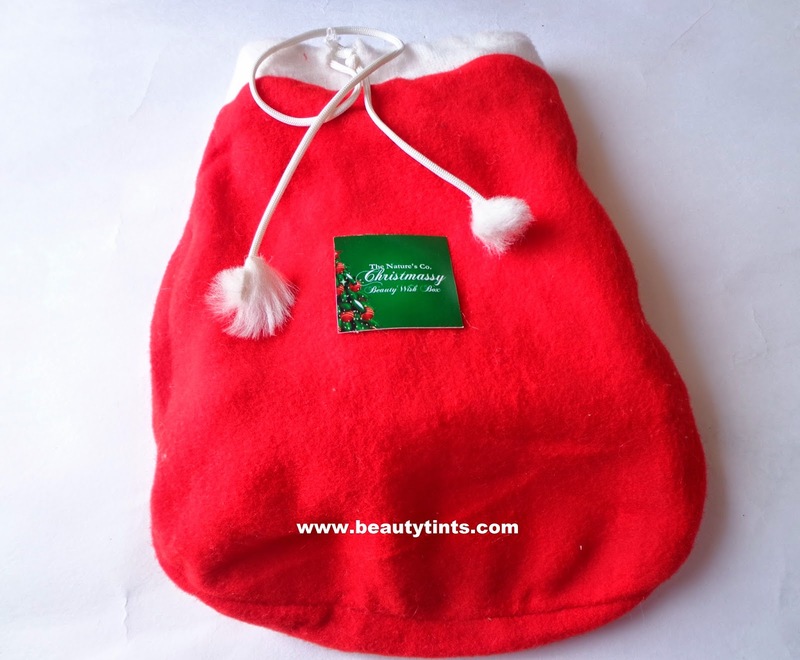 This time the samples came in a colorful red and white combination pouch,which looks similar to Santa Claus Cap,which is just perfect for this Christmas Season. 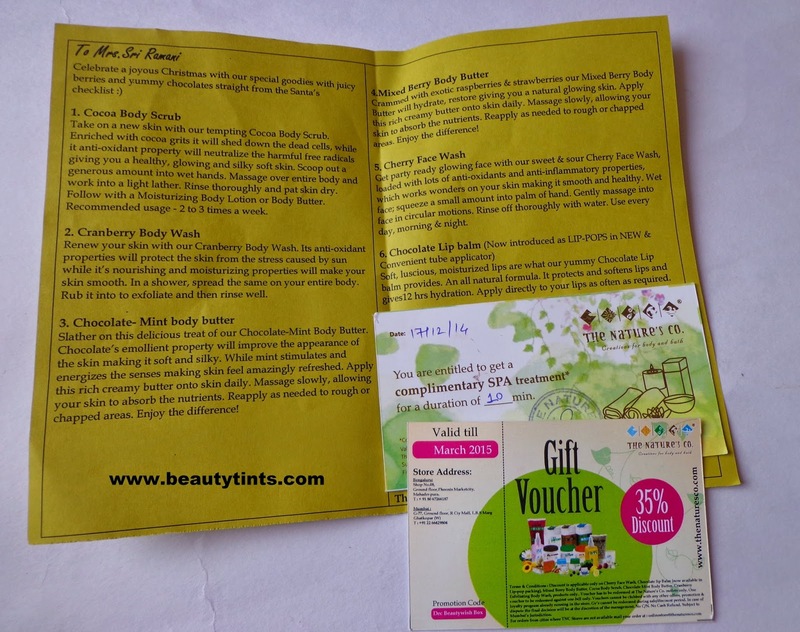 1) Cocoa Body Scrub(35 ml): Which smells of rich cocoa,Can't wait to use it. 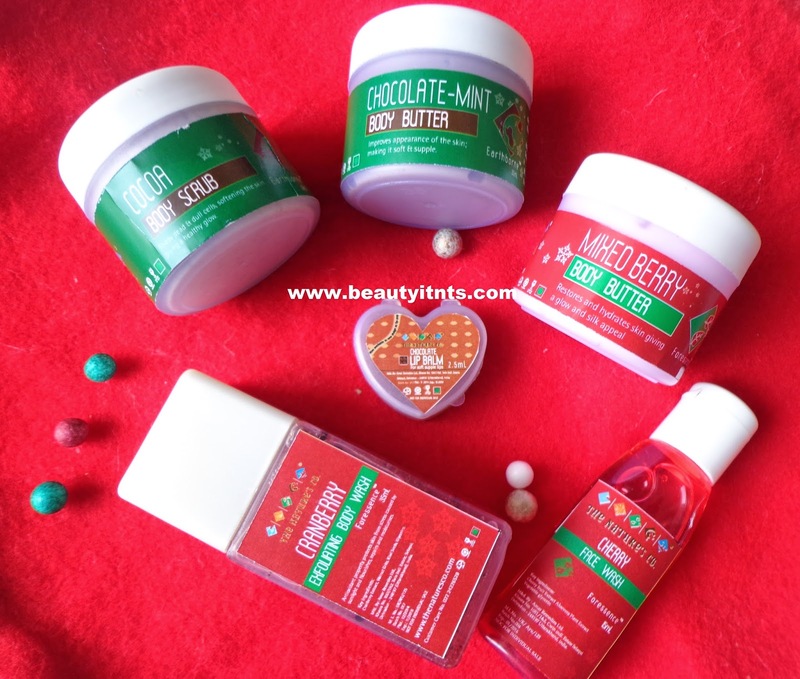 2) Chocolate-Mint Body Butter (35 ml) : I received this body butter in February valentine Special Beauty Wish Box,which I loved using it till the last bit and I am super happy to receive it again as it is not only a special edition body butter but also for the Chocolaty-mint fragrance. 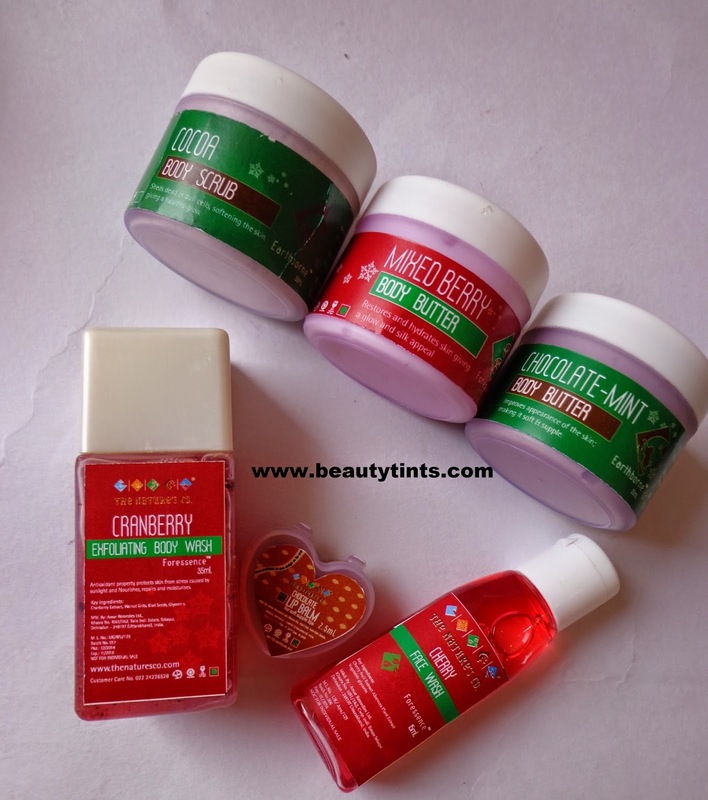 3)Mixed Berry Body Butter(35 ml) : I received the Mixed Berry Body Lotion before ,which is my most favorite body lotions from The Nature's Co and this body butter also has the rich fragrance of mixed berries with more dominant Raspberry scent,which I love to sniff all the time. 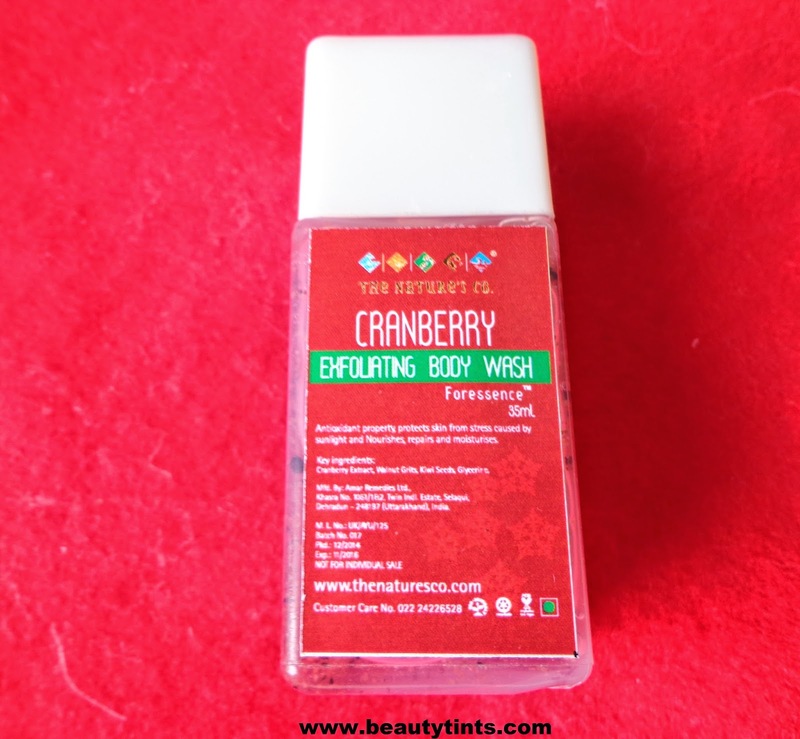 4)Cranberry Exfoliating Body Wash (35 ml) : This is also a generous sized sample which came in a sturdy bottle ,which has a yummy fragrance.I am going to use this during my trip in January. 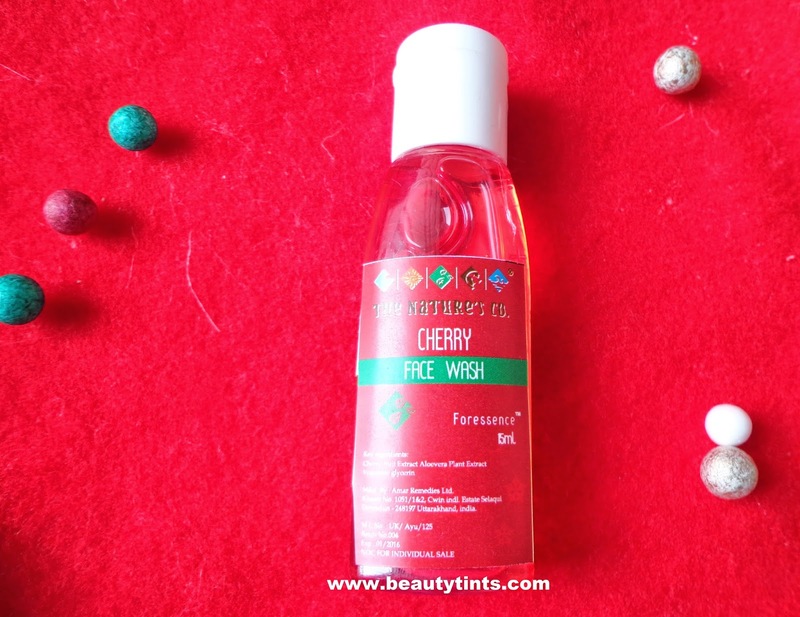 5) Cherry Face Wash (15 ml) : Again one more favorite product from the box,I am a big fan of The Nature's Co Face washes,especially the Cool Cucumber and Cherry Face wash.I am again double happy to receive this again and would love to receive it again and again,as it is so gentle on skin but effective in removing all the dirt and grime. 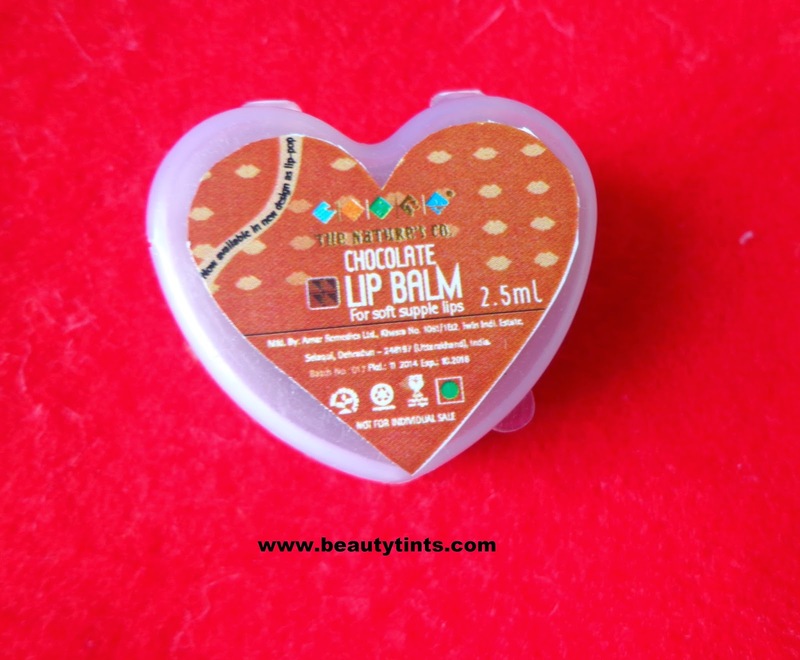 6)Chocolate Lip Balm(2.5 ml) : One more chocolaty product in this box,I usually keep these cute lip balm samples by my bed side,so that I can use it when ever needed. 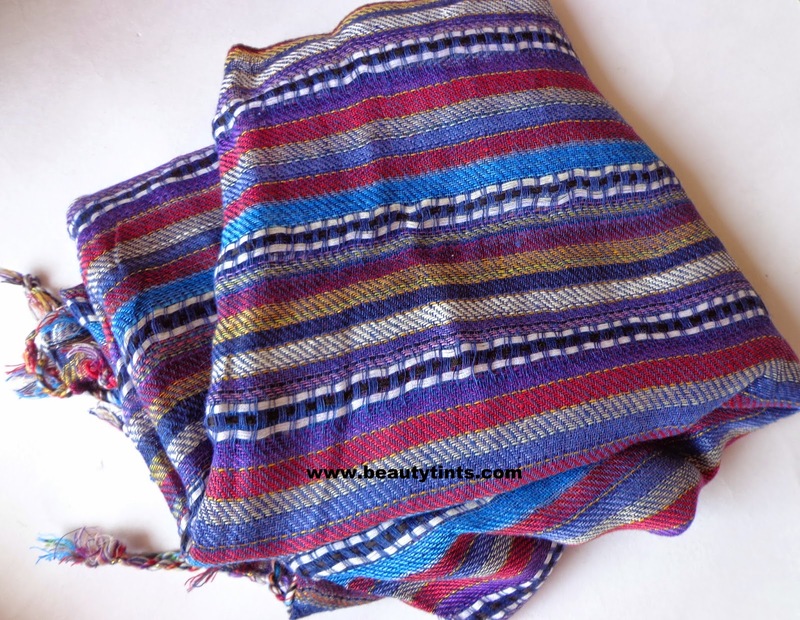 7) The Beautiful Stole from Santa's Elves : This is a free gift in this Christmassy bag.Loved this blue one. 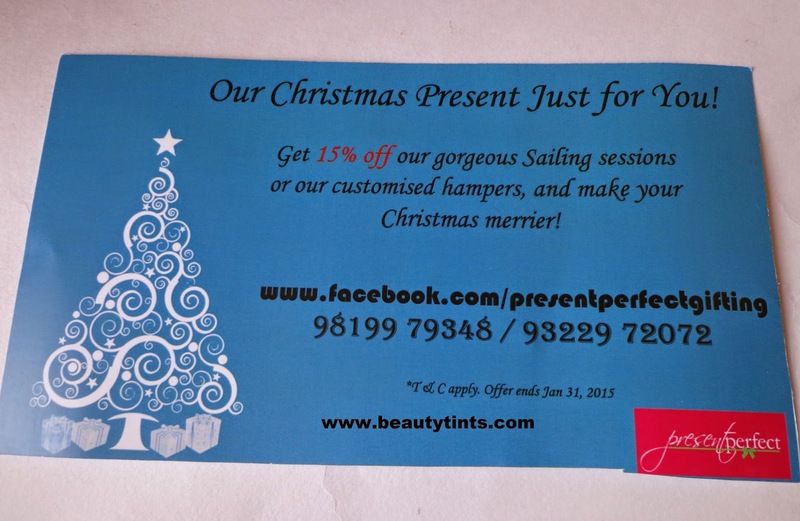 Along with these, there is also a 15% Discount hamper on Sailing sessions or customized hampers from Present Perfect. 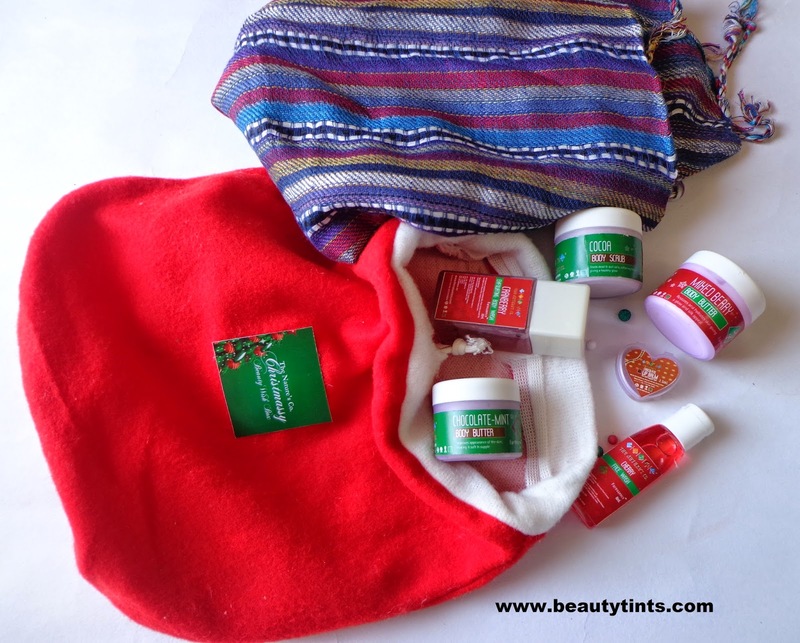 Final Thoughts about The Nature's Co December 2014 ''Christmassy'' Beauty Wish Box: Again a good box with all the winter essentials and beautiful free gift.Loved all the products from the box especially the chocolate mint body butter,mixed berry body butter and Cherry Face wash.